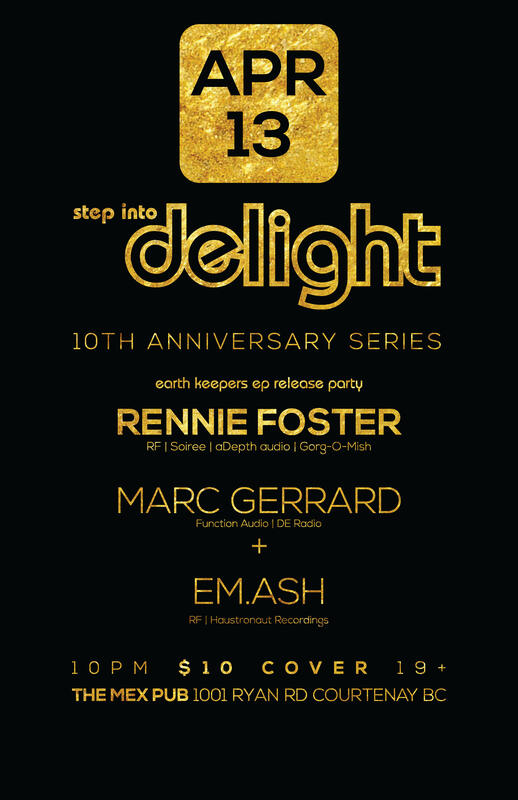 Delight opens the dance floor to House, Techno and Disco DJs from across BC, curated by Comox Valley veteran EM.ASH. Delight offers a smoother groove and storytelling, alongside a deeper musical experience. Expect a welcoming and open vibe all night. These events are a collaborative effort, put together by EM.ASH, The Psychedelic Syrup Collective, Subliminal Sound, Dream CO, the Mushroom Manor, the Munson Family and more. Individually and collectively, these groups have been creating dance music culture across Vancouver Island and the surrounding islands for well over a decade. 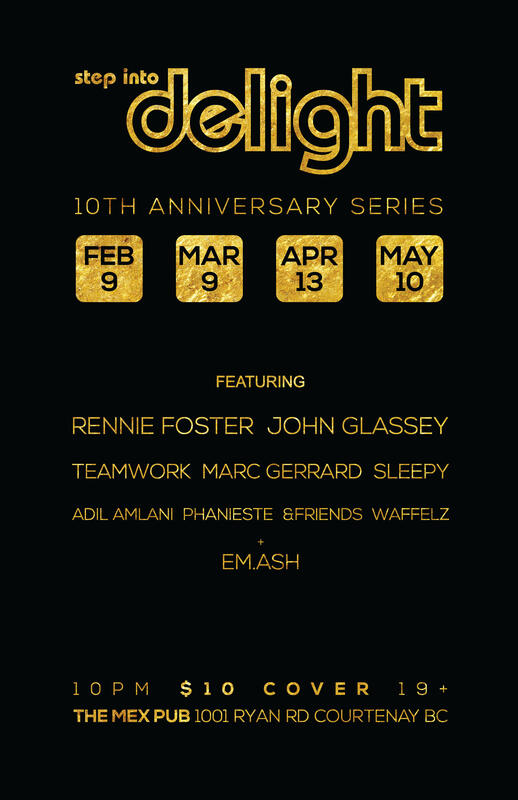 Delight is proud to present the following DJs this spring: Rennie Foster, John Glassey, TeamWork, Marc Gerrard, Sleepy, Adil Amlani, Phanieste, &Friends and Waffelz. 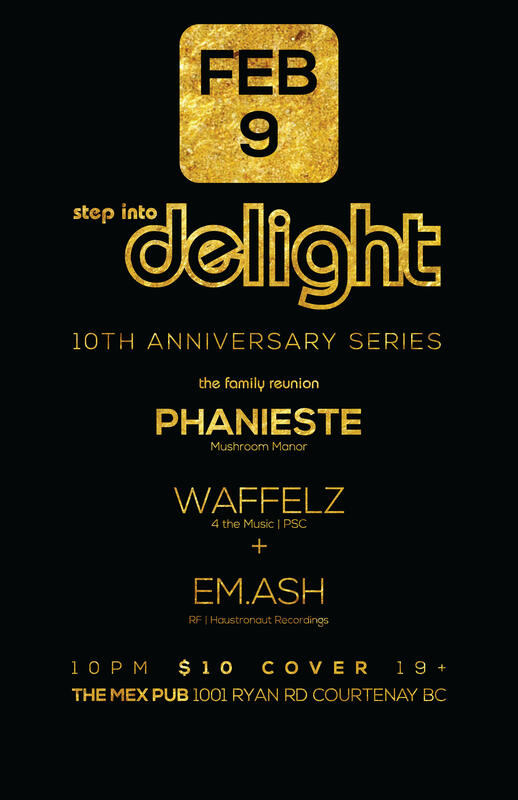 Step into Delight February 9th, March 9th, April 13th and May 10th. All Welcome, LGBTQ+ Safe Space.